When most of my Mexican food intake consists of ordering from a truck, I sometimes want to sit down at an incredibly themed Mexican restaurant with loud colors and frozen margaritas. 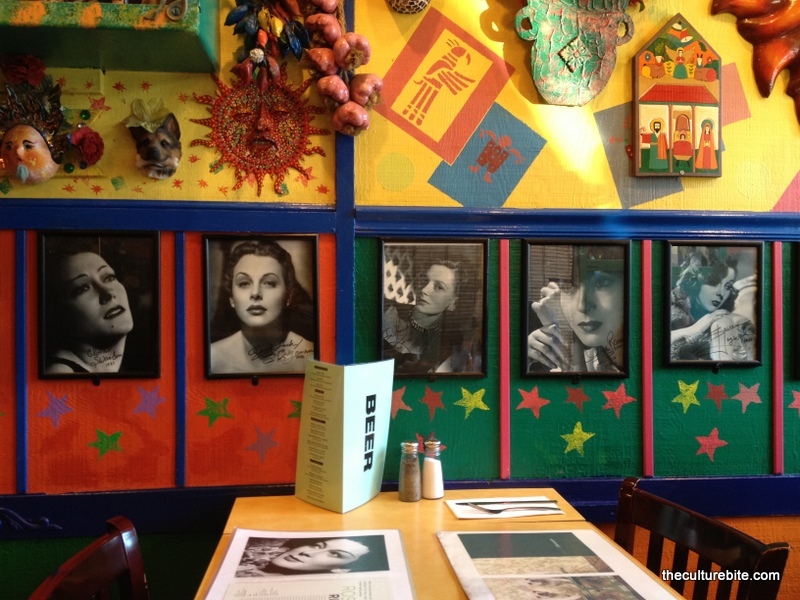 That’s exactly what you’ll find at El Toreador in West Portal. This West Portal landmark has been around for forever. They also have the most random things hanging on their wall and ceiling like cowboy hats and stuffed parrots. I love the old autographed celebrity photos on the wall. Not only is this place quirky, it’s also a part of history. The best part about this place is the house chips and salsa. 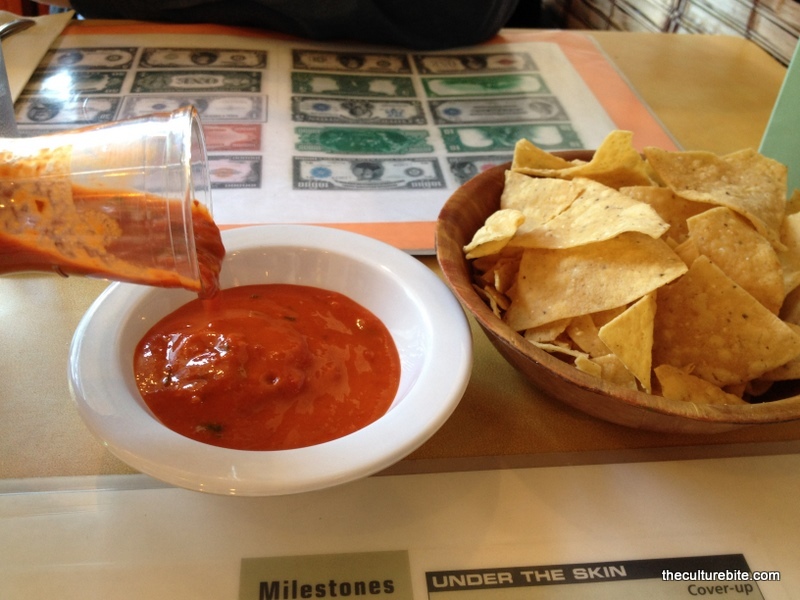 The salsa is completely different than any other kind of salsa I’ve ever had. It’s smooth, rich and spicy. No chunks whatsoever, and I actually like that! The only bad thing about this is that this is served prior to your meal. So, if you do not have any self-control (like me), you’ll end up getting really full on this before receiving your entree. For lunch, I had the carnitas burrito. K got the scrambled egg and chorizo burrito because he absolutely loves chorizo and will order anything with it in it. 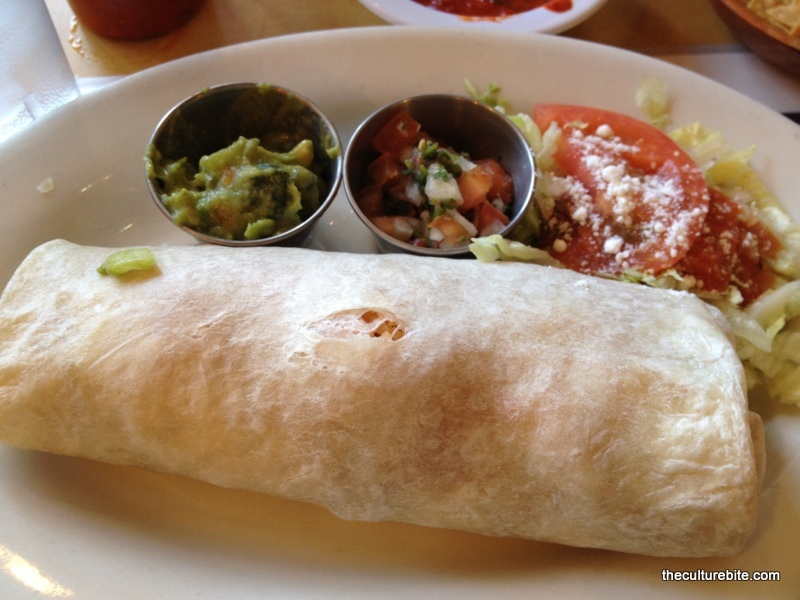 My burrito was stuffed with carnitas (deep fried pork), rice and pinto beans with salsa and guacamole on the side. The caranitas was moist, but cubed. Usually, I like my carnitas shredded, but if it’s moist, I’m not complaining. K’s chorizo burrito wasn’t too bad. The egg and chorizo was ground really fine. We would prefer the sausage and egg to be a little chunkier so we can taste each ingredient separately. I didn’t find any hot sauce on the table, so I lathered up my burrito with the house salsa that was served with the chips. I’m sure I wasn’t the first person to think of that. I love El Toreador. 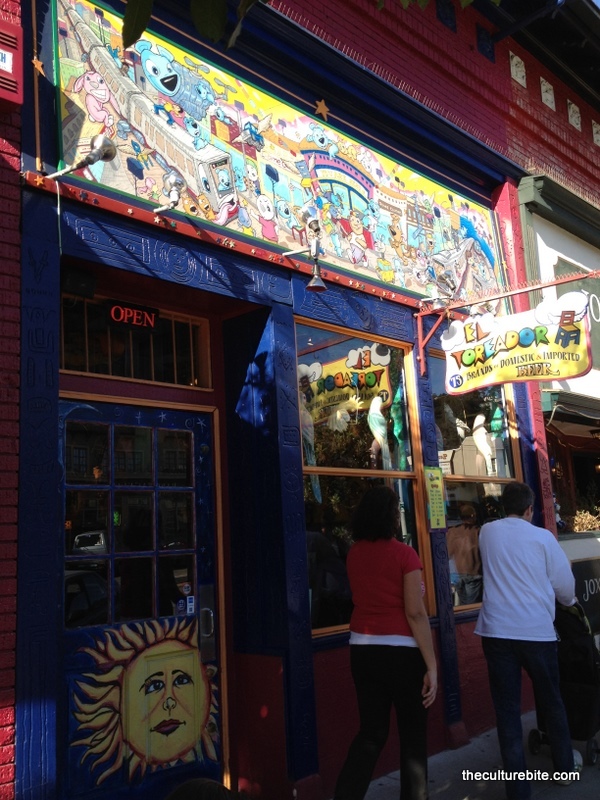 It’s fun, wacky and serves some pretty good Mexican fare. 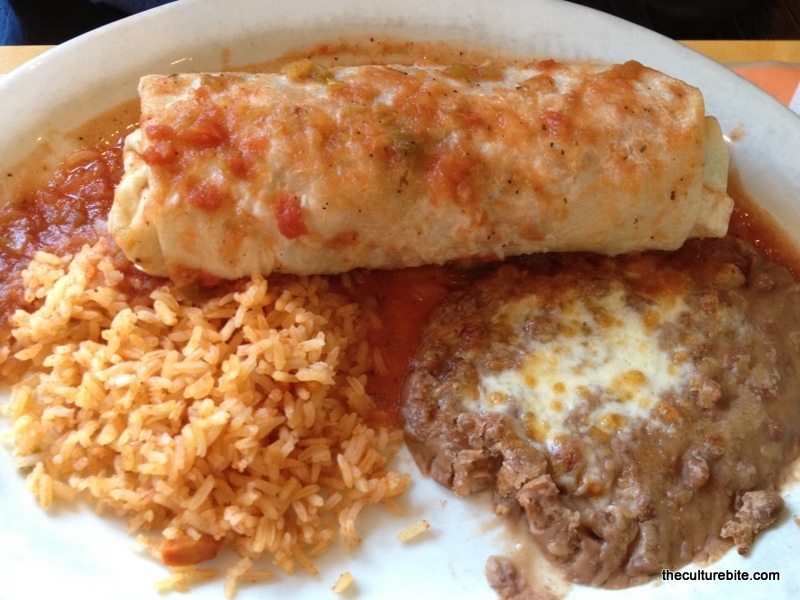 Enchiladas seem to be the hot item on the menu, so I’m sure to order that on my next visit. « Downstairs Family Room Finally Coming Together!